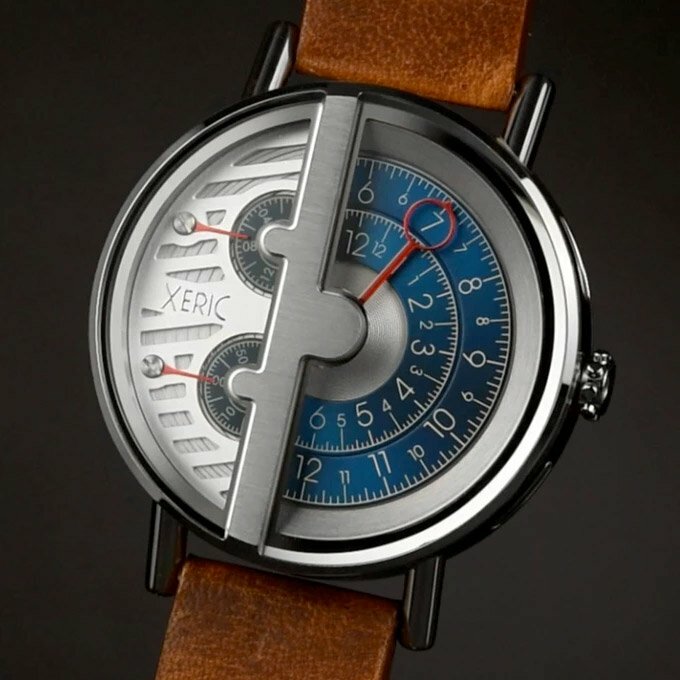 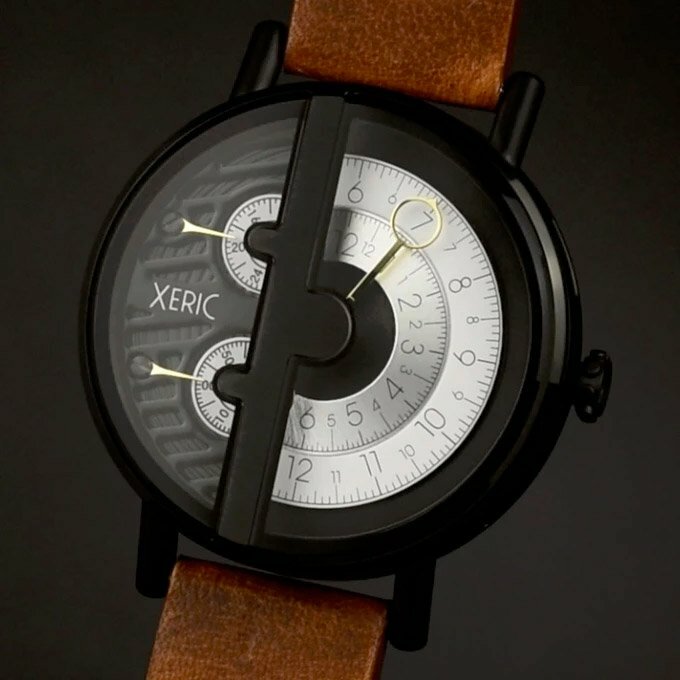 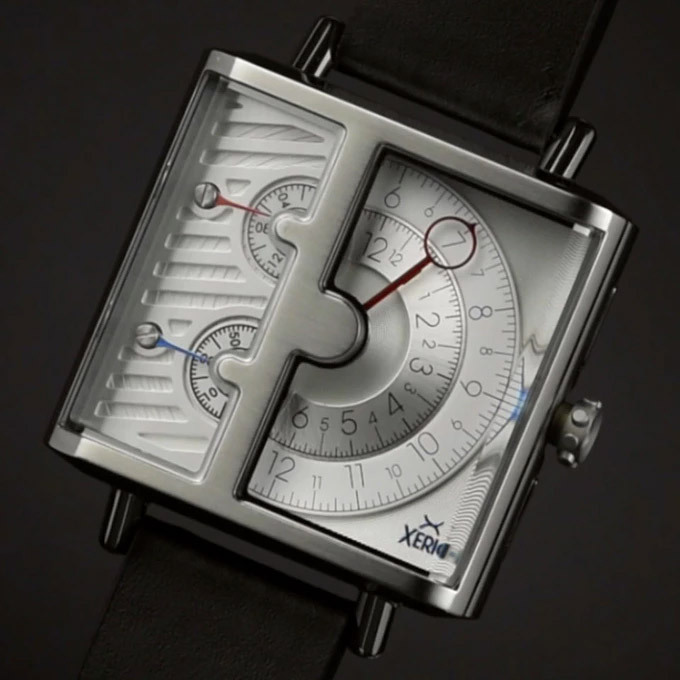 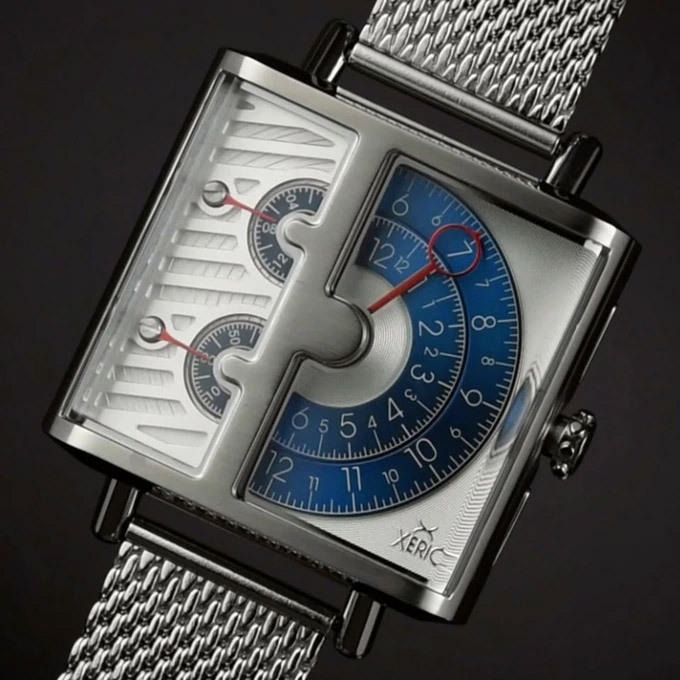 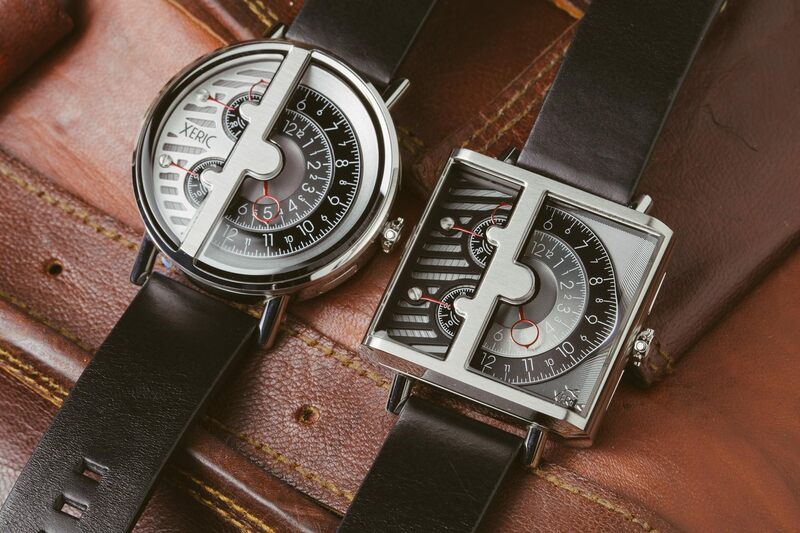 Xeric expands its line with a sweet new series of timepieces. 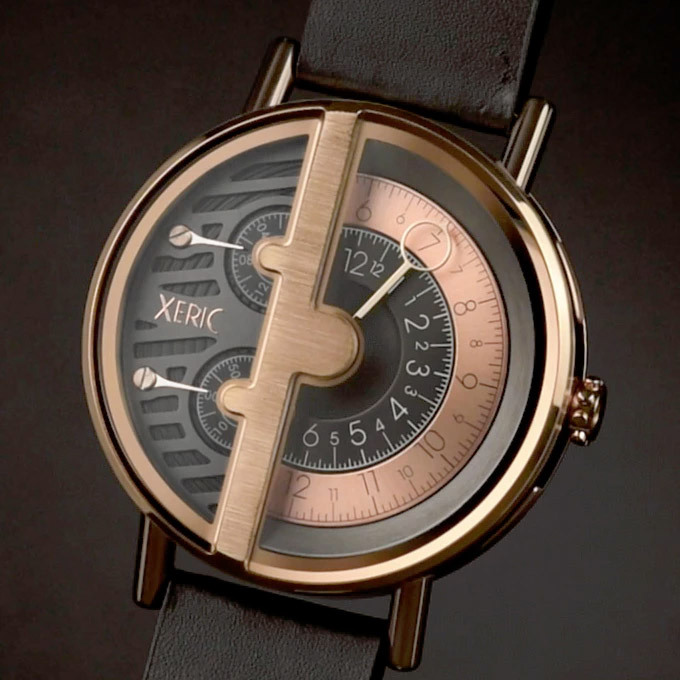 The right side indicates the time in 5-minute increments, while left-hand dials include a 24-hour display and a 60-second stopwatch. 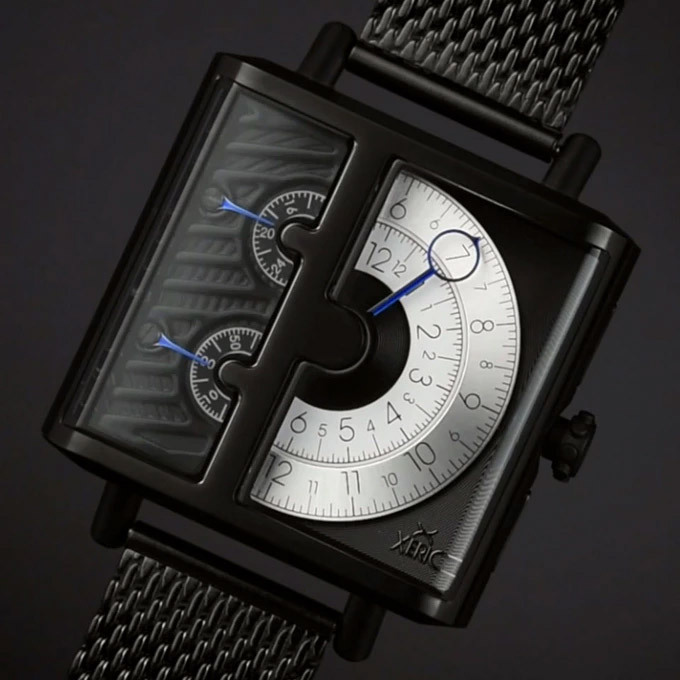 Available in round and square cases and a variety of leather and mesh straps.